Just in from Lifehacker: if you want to learn focus and concentration via ‘mindfulness’ meditation, you can select from more than 700 different apps designed to help you do it. Be mindful: too many choices are distracting! 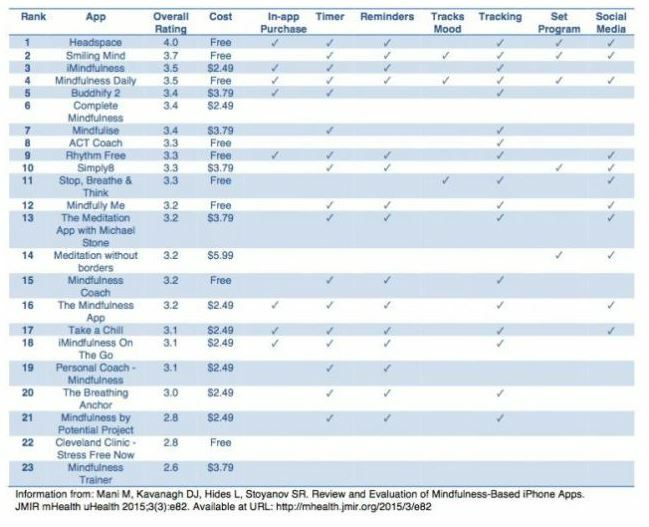 More than 700 apps have been created to facilitate mindfulness’ meditation.